Crimean Tatars as diplomats from Ukraine could effectively contribute the establishment of contacts between our state and the Muslim world. The First Deputy Minister of Information Policy, Emine Dzhaparova expressed this opinion in commentaries to the QHA. 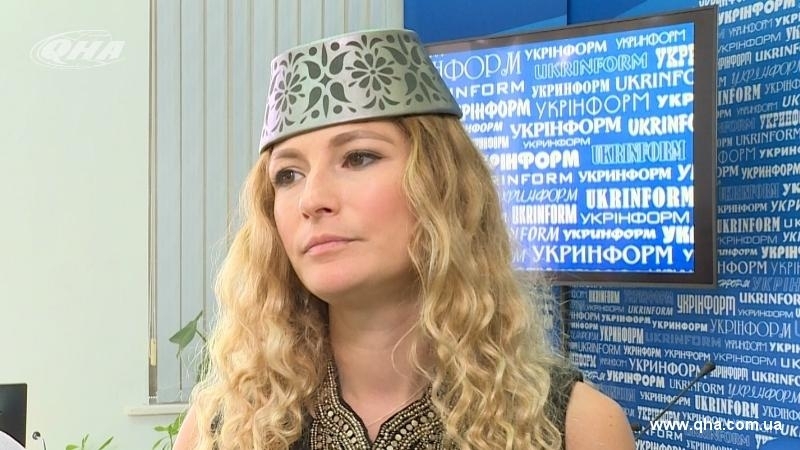 According to Dzhaparova, a good factor is that Crimean Tatars have a good understanding of religious and cultural traditions of Muslim countries. And that is why to appoint Crimean Tatar Ambassadors to the Turkic world countries will give more possibilities to promote effectively interests of Ukraine. Emine Dzhaparova also noted that activity of the Crimean Tatars also contributes to the European vector of Ukraine. Particularly, the non-violent struggle of the Crimean Tatars against repressions in occupied Crimea represents Ukraine as a European state in the eyes of the civilized world. According to QHA reports, last week in the framework of the First International Ukraine-Arab Conference on Higher Education, the Taurida National V.I. Vernadsky University in Kyiv and Prince of Saudi Arabia Faisal Ibn Sultan ibn Nasser Ibn Abdul Aziz Al Saud have signed a Memorandum of Cooperation, that provides a fund establishment for Arab and Islamic researches financing in Ukraine. Deputy Chairman of the Mejlis of the Crimean Tatar people, Akhtem Chiygoz, noted that Ukrainians have much more in common with Turkic people than with Russians.